As part of the fraud scheme, Soultanali and Kassam also engaged in fraudulent billing, including creating invoices based on false attendance records and spreadsheets that contained inflated tutoring time summaries. But the two didn’t undertake this scheme by themselves. They also bribed school officials and others to ensure that the fraud remained hidden. Bribes included a Caribbean cruise for an assistant principal in Texas and a trip to a gentlemen’s club for a state education official in New Mexico. All told, the two companies received about $33 million from school districts around the U.S. Investigative activity revealed that Soultanali and Kassam fraudulently obtained at least $11 million of that for themselves during the 2009-2010 school year, using it to buy lavish properties, luxury vehicles, and expensive jewelry. Soultanali and Kassam brazenly misrepresented the nature and quality of the tutoring services their company actually provided. In the summer of 2010, an employee of one of Soultanali and Kassam’s companies—suspicious of company activities—reported concerns to the FBI’s Chicago Field Office. The Bureau opened an investigation, working closely with the Department of Education’s Office of Inspector General and with valuable assistance from the Chicago Public Schools’ Office of Inspector General. Investigators worked methodically to build a case—forensically analyzing financial records from more than 100 school districts and 60 bank accounts; reviewing company records and e-mails; and interviewing numerous individuals, including employees of the two tutoring companies and school officials in Illinois and a number of other states. By April 2014, there was enough evidence to indict Soultanali, his son, their two companies, and four other co-conspirators. Shortly after that, Soultanali and Kassam—in order to stay out jail—paid their $500,000 bond with diamond and ruby rings, plus several luxury vehicles. But that attempt at keeping their freedom was for naught. Both men eventually pled guilty to fraud charges, and, last month, were sentenced to federal prison. Both were also ordered to pay $11,393,762 in restitution to the Department of Education. And fortunately, both Brilliance Academy and Babbage Net School went out of business, and the victim schools are now able to contract with legitimate and highly qualified tutoring services to enhance the academic skills of their students. According to Mark Prejsnar, the Chicago case agent who headed up the investigation, the scheme perpetrated by Soultanali and Kassam “demonstrated how the greed of a few individuals can have such a negative impact on our most vulnerable citizens and communities.” And he’s hopeful that the results of this investigation will serve as a deterrent to others who might be contemplating similar frauds. 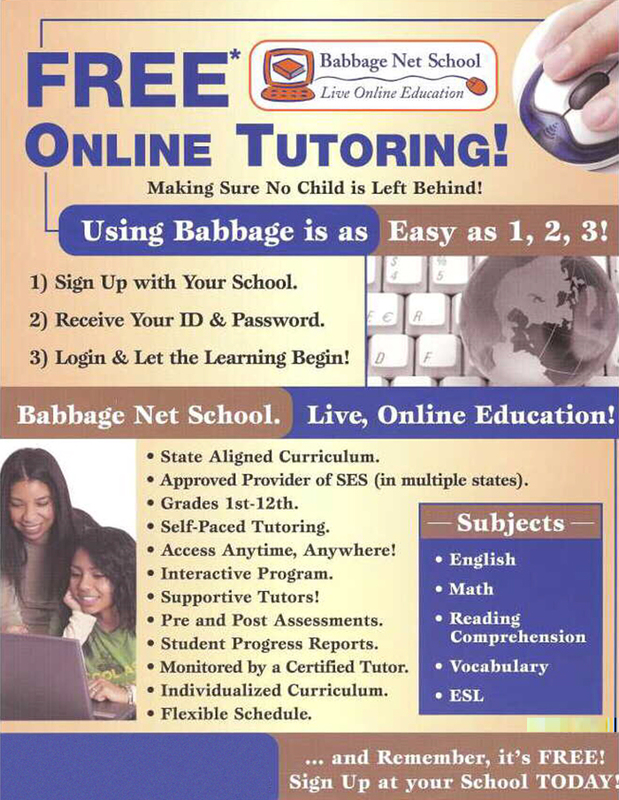 This flyer was part of the fraudulent advertising done by Jowhar Soultanali and his son, Kabir Kassam, to sell school districts on their tutoring companies. STEM—science, technology, engineering, and mathematics—describes a range of academic disciplines that have become more important than ever to the FBI’s mission of protecting the American public. Members of a staged car accident ring in Connecticut bilked insurance companies out of hundreds of thousands of dollars by staging dozens of automobile crashes over a three-year period.